I don’t think I have been bantering yet about studying Chado have I? The Japanese tea ceremony is not really a ceremony, in Japan it’s ”Water for tea”, and that’s all it is. But there is so much to be done in making hot water and a perfect bowl of tea! The same tea can taste different depending on who makes it. It is very relaxing and meditative. It makes you very aware of your movements, how you handle things, and what you are doing. I see it as part of my art training. 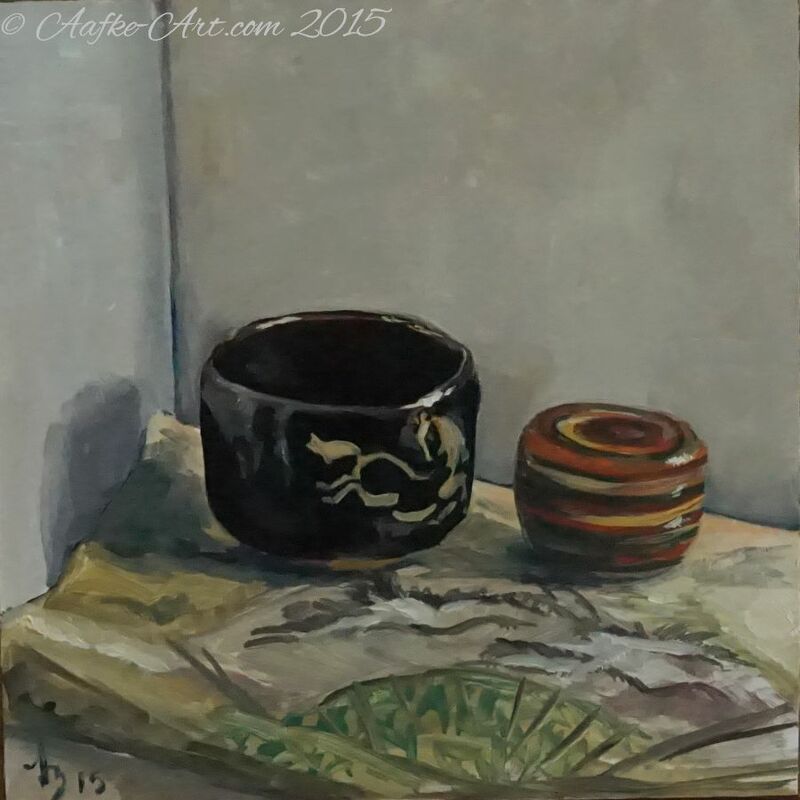 Here is my daily painting; a raku tea bowl, a ”spinning top” natsume, which holds the powdered tea, and they are standing on a folded antique fukusa, a cover for gifts. This was fun to paint, I wanted to show spontaneity, rather than an obsessive focus on perfection. Although the raku bowl is pretty spot on! Isn’t that little horse adorable? I fell in love with this bowl on first sight. 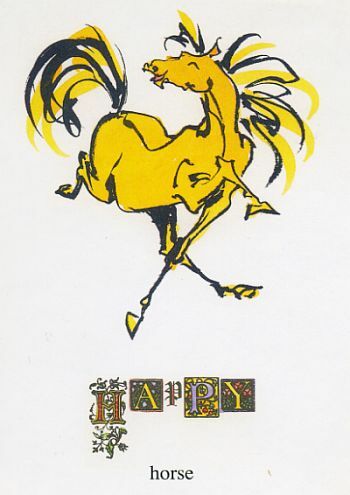 It reminds me of my own ”happy horse” from the ”13 horses” art book. 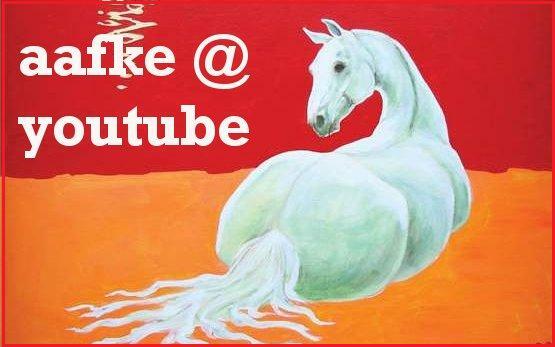 It is also reminds me a bit of the ”White horse of Uffington”, which I have seen both by walking on the hill and from the sky. Happy horse, typographic print with antique lettering and hand colouring.